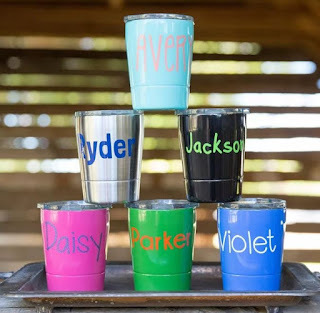 Check out these Personalized Kids Mini Tumblers ONLY $12.99 (Retail $29.99). Whether it's your morning juice or favorite kids drinks, carry your drink in style! Our tumbler is the perfect size for any of your beverages and will fit in your car cup holder. Choose your tumbler color, name, font, and color. $3.99 for the first item and free for each additional item. US only. Ships no later than Thu, Apr 19.